Dedicated to Kansas City's urban development. New Micro-Units Available for Lease Now! It’s a trend that has been booming on the coasts and now UC-B Properties is bringing that coastal trend to Kansas City – micro-units. 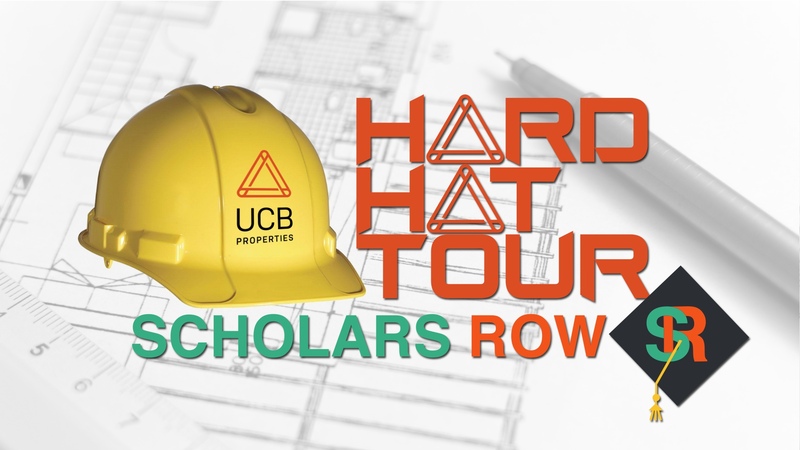 Scholars Row will be open to the public for a special Hard Hat Tour at 11 a.m., Saturday, September 29. UC-B Properties started building the $4 million, 50-unit apartment project, on the west side of Troost Avenue between 55th and 56th streets, earlier this year. The units are expected to be completed this Fall and pre-leasing is now available. Furnished options are available for the units that are modeled after a cruise ship cabin. They come equipped with queen-size beds, microwave/stove and washer/dryer. Rent for unfurnished units starts at $850/mo. Furnished units start at $1,200/mo. “We are excited to offer these units, helping individuals and companies save money while providing them with a new option with a variety of amenities and close proximity to the best that Kansas City has to offer,” Hoffman said. The Hard Hat tour is free and open to the public. Light lunch items will be provided. Contact Leasing Manager Tash Lancaster to RSVP for the tour or to reserve your unit: [email protected]. Time: 11 a.m. – 2 p.m.
UC-B Properties recently launched its Community Give Back Program to benefit Lead to Read KC and Amethyst Place. For every lease that is signed for Scholars Row, $50 will be donated to the organizations. For more information on UC-B Properties, their mission of blending diverse communities, and current and future projects, visit: www.UC-BProperties.com. Our mission is to build small projects using a cadre of local architects to help design and build modern design of exceptional quality. We are dedicated to Kansas City’s urban development and build exciting new homes that respect the history of our city. This blend of styles and the beauty of historic properties, reminiscent of our rich past, give our residents the advantage of living, working and entertaining in a dynamic, thriving locale.